A death investigation got underway near the Vista Villa Apartments in east Charlotte Monday morning. 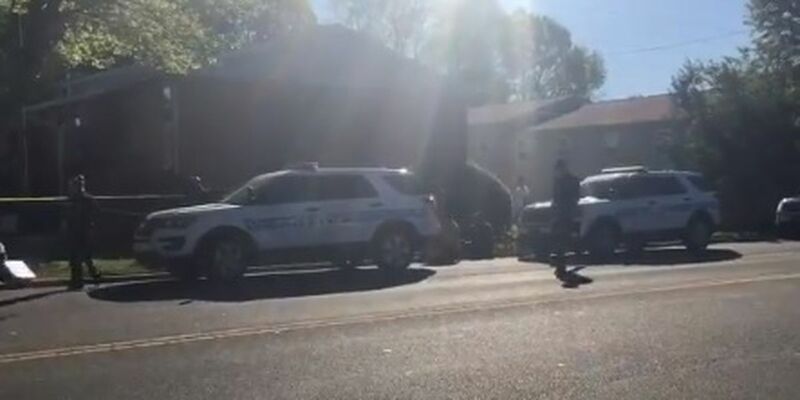 CHARLOTTE, NC (WBTV) - A man found dead with a gunshot wound in a car in east Charlotte Monday morning has been identified by police as 22-year-old Hinyse Bittle. Police say the investigation got underway around 8:20 a.m. off the Plaza near Barrington Drive after officers responded to the area for an assault with a deadly weapon call. Police appeared to be focused around a car outside the Vista Villa Apartments. Officer say the man was found with a gunshot wound an pronounced dead on scene by Medic. Police say the case is being investigated as a homicide. The investigation is ongoing. Anyone with additional information is asked to call homicide detectives at 704-432-TIPS or Crime Stoppers at 704-334-1600.